It’s happened to everyone: You look at a photo of a dress or outfit in a magazine or see it online and wish you could wear exactly what she’s wearing, but know it would never fit you the same. Maybe the dress looks that great on her because her waist is half the size of yours. Maybe her legs are longer than yours and the same look on you would look squat and wide. Or maybe that baggy look only works on the model because she’s 5”8 and you’re way shorter. There are plenty of trending looks out there that aren’t as flattering for some as they are for others. Online shopping can become a real nightmare when you’re trying to order based on the way something looks on a model that looks nothing like you. Our hack? Finding styles that are universally flattering for every body type and skin tone. Here are just a few universally flattering looks that compliment any body type, shape or height. An A-Line dress is so named because it literally looks like the letter A. It hugs you at the hips then flares out, reaching its maximum width at the hem. This is a classic silhouette that hasn’t gone anywhere for decades, even centuries, and probably won’t go anywhere anytime soon. It’s timeless and feminine and works for every body type because it hugs you at just the right places. It’s a fun dress to spin around in and can be easily paired with every type of shoe; from high boots in the fall and winter to wedge sandals and open toed heels in the summer to sneakers in the spring. The A Line is a chameleon style, that can look as dressed up as you want or as casual as you want. Dress it up for a night out; an A Line cocktail dress looks beautiful with sky-high heels and metallic colored jewelry. Or dress it down with some sandals, flats or sneakers for everyday wear. This may come as a surprise to some, but the trapeze dress has nothing to do with the trapeze you see in a circus. It’s named after the shape of the dress, which is a trapezoid. This dress is a win for every woman during every occasion. It’s a loose fit that looks chic and fashion forward, not squat and frumpy. It can be dressed up for everything from date night to bridal showers, church service, engagement parties, even a night out; It can also be dressed down for a casual summer day of errands, a quick trip to the mall and more. Shift dresses are another dress hack that look spectacular on every body type. Their loose fit is super comfy for those days when you just want to be light and breezy or for the days when bloating has you running away from anything tight and constricting. The sleeveless shift dress is a diverse silhouette that looks great on petite frames, plus size and everyone in-between. Because the shift dress lacks a structured shape, it flatters petite women due to the chic draping effect it has on them; but for plus size women, the lack of shape can be problematic. The key is to find trendy shift dresses that has a silhouette that is not boxy or tight. Also, avoid a shift dress with ruffles and extra volumizing elements. This type of dress also looks great with a chunky, statement necklace. Floral shift dresses with a tight, small pattern can look great, often hiding the tummy area appropriately for the plus size frame. Also, the pattern is perfect for summer and spring. While the sleeveless look works wonders, especially with outerwear, the long sleeved shift dress looks chic and sophisticated for women of any frame. It looks seasonally appropriate for fall and winter while looking elegant and delicate for spring and summer. An extra touch of lace takes it to a whole other level of sophistication! 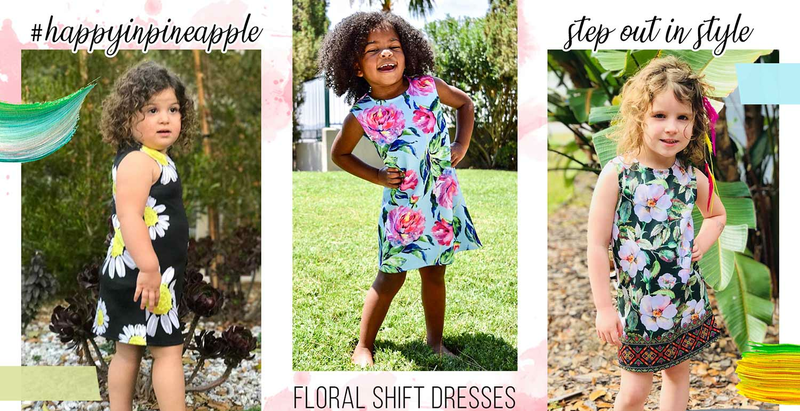 They make for perfect day dresses to attend everything from showers to celebrating birthdays and holidays and just about anything else. For petite women, the draping effect looks extra beautiful and for full figured women, the sleeves always have a slimming effect to the arms, especially if they’re a problem area. 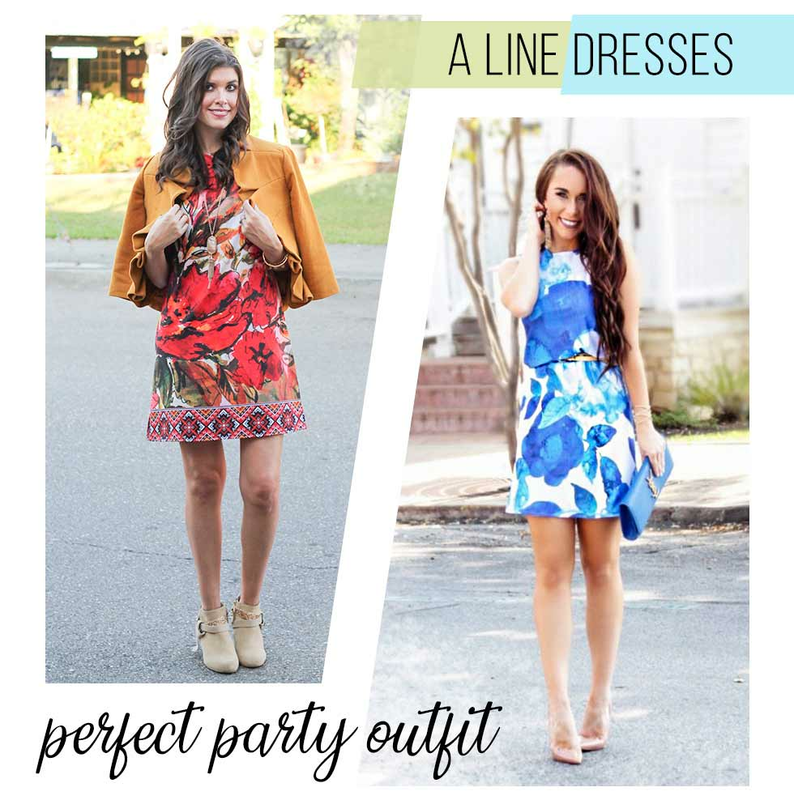 Knowing how to choose universally flattering styles takes all the guesswork out of buying online or, if you’re the type who’s weight and shape fluctuates, this strategy of dress buying will save you so many headaches and have you looking stylish all the time!